The Panasonic Lumix DMC-GH3 is the most complete mirrorless camera to date in terms of features, performance, customisability and image quality, and in terms of video capability it has a clear lead over both its compact system and DSLR rivals. At £1100 / $1299 body only, though, it is currently the most expensive mirrorless camera on the market. The new GH3 builds on the surprise success of its popular predecessor by improving on all aspects of its still and video image quality, feature-set, handling and performance. Panasonic's engineers have clearly taken user feedback on-board to improve their flagship model in almost too many ways to mention, resulting in an intuitive, responsive camera that produces outstanding video and stills. Apart from the price, the GH3 has very few flaws - the circular control wheel on the rear isn't particularly responsive, the wi-fi functionality is a little limited and the sheer number of options available is initially confusing, but there's really nothing major to moan about. This is the most complete interchangeable lens camera currently available for people who want to shoot in both still and video formats. The GH3's still image quality is much improved, especially the high ISO performance. Images shot at ISO 125-1600 are clean, with a little noise appearing at 3200 and more at the still very usable setting of 6400. ISO 12800 is best reserved for resizing and smaller prints, while the top speed of 25600 is only for emergency use, but overall the GH3 offers the best still image quality of any G-series camera to date, whilst videographers will surely be salivating at the vast array of options on offer. 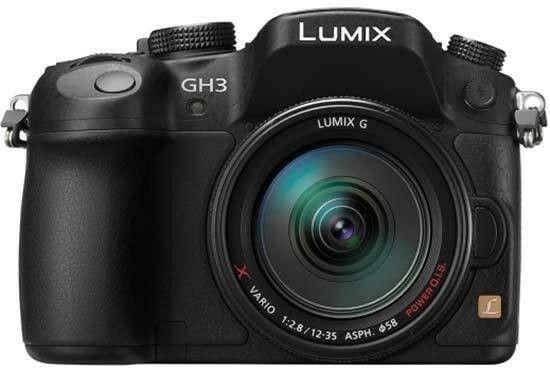 Panasonic are pitching the GH3 as a video camera for everyone from the family user to professional film-maker, and indeed it can be as simple or as advanced as you require.